The wave of so-called yellow vest rallies, which have been marked by violence, clashes with law enforcement agents and public disorder, started in France in mid-November. Thousands of Yellow Vests protesters are taking to the streets of the French capital for the 13th Saturday in a row on 9 February. 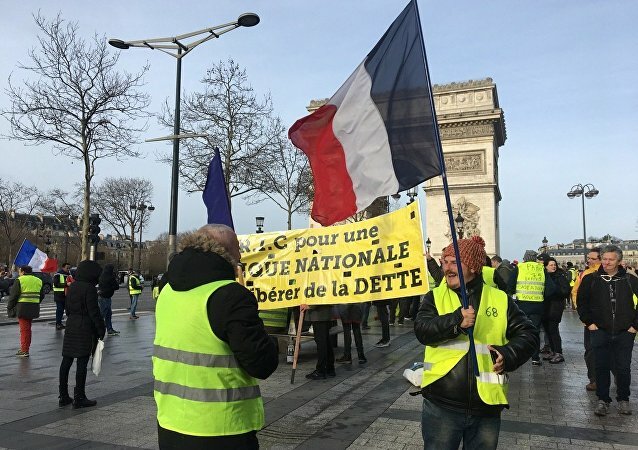 While the government ultimately abandoned plans to raise fuel taxes, triggering the rallies in the first place, and introduced other measures to improve the country's socioeconomic situation, the protests have continued and morphed in a wider outcry against French President Emmanuel Macron’s economic policies and high living costs. The number of people, who were detained in the French capital of Paris on Saturday during the anti-government rally, has increased up to 36, local media reported. According to the Figaro newspaper, 36 people were detained as of 6:45 p.m. local time (17:45 GMT). The BFM TV broadcaster reported that more than 51,000 people took part in the so-called yellow vest protests across France on Saturday with some 4,000 of them having participated in the rally in Paris. A Twitter user added a video of what he claimed were clashes between the Antifa movement and Yellow Vests protesters. The same user posted another footage of what he described as Antifa among yellow vests demonstrators, crashing a Porsche car. The French law enforcement has detained at least 17 Yellow Vests, protesters, BFMTV reported, citing sources in the police. According to the source, 10 of them were placed into custody. According to the French Interior Ministry, 12,100 protesters took to streets in France at 14:00, including 4,000 in Paris. BFM TV reported, citing the prefecture of Paris that 10 people were arrested in Paris two hours after the beginning of rallies. 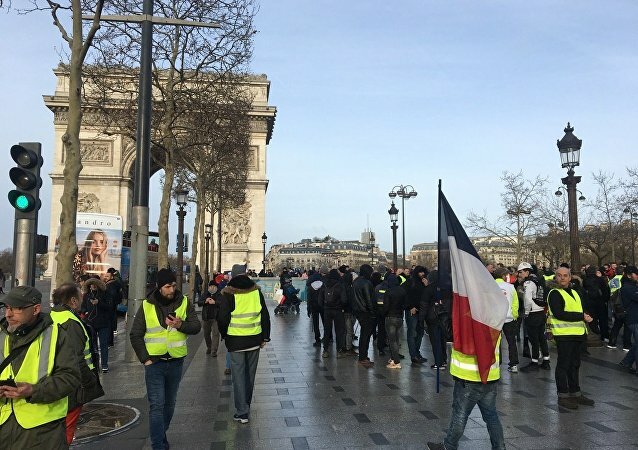 Several hours after protesters started their march at 10:30 a.m. local time (09:30 GMT), the first clashes between activists and law enforcement took place near the National Assembly, the France Info broadcaster specified. The participants of the rally are demanding a 20 percent increase of the minimum wage, equal wages for women and men, tax reform, development of public services, and fair environmental reforms.